Thank You 2015 and 2016 Donors! Taylors Creek East Channel has been dredged for 2017 boating season! 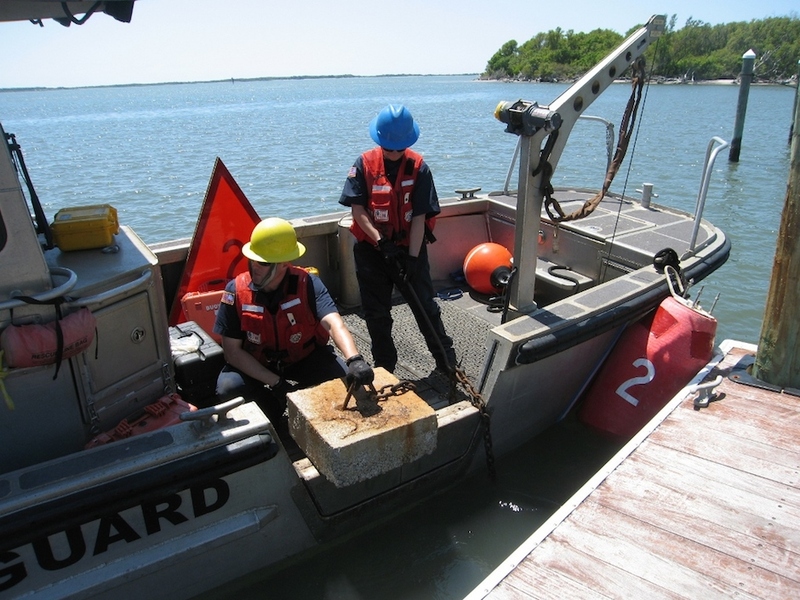 You can see from the most recent hydrographic survey detail below, the Corps of Engineers has recently performed maintenance dredging at the East Taylors Creek Channel. Dredge boat Murden performed this year’s maintenance dredging at the East End of Taylors Creek. Funds from Carteret County and the State of NC Shallow Draft Fund were used for the 2017 dredging project. It’s Time to Dredge the Channel for 2016 Boating Season! You can see from the most recent hydrographic survey (see below March 24 blog post) conducted by the Corps of Engineers that our channel at the East End of the Taylors Creek is predictably shoaling. The Corps has advised that the best way to keep this channel open and navigable is to perform annual maintenance dredging. For the foreseeable future, shallow draft dredging projects will require creative funding strategies that will include private contributions. If the east end of the channel is to be kept open then we, the boaters, will need to continue to participate in underwriting the cost. We all realize that keeping the Taylors Creek East Channel open is important – for convenience and safety! We ask that make your contribution to FOTCA today to dredge the East Taylors Creek Channel in time for the 2016 boating season. 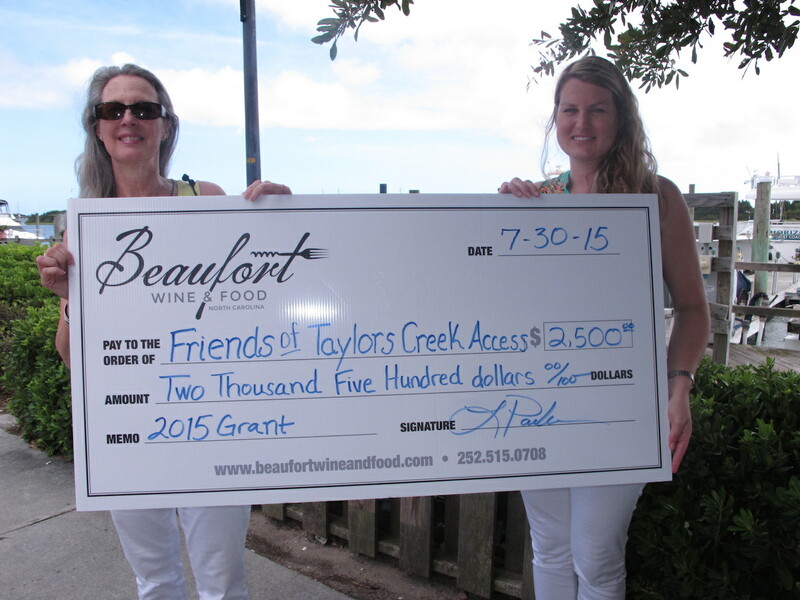 FOTCA receives Beaufort Wine & Food Community Grant! Thank You Beaufort Wine & Food! Thank You for choosing Friends of Taylors Creek Access as one of your 2015 Community Grant recipients! When heading east out of Taylors Creek, keep the 2 green cans to starboard and the 1 red can to port. The new 750′ long channel ends at the deep water North River Channel. So, if heading out to Shackleford, turn hard right at the last green can and keep the green North River channel marker (NR1) to your starboard. On the way back, it’s red right return! Hydrographic Survey date: 4/8/2015 shows newly dredged channel. Can markers have now been relocated to the new East Channel location. Thank You Donors for making it happen! 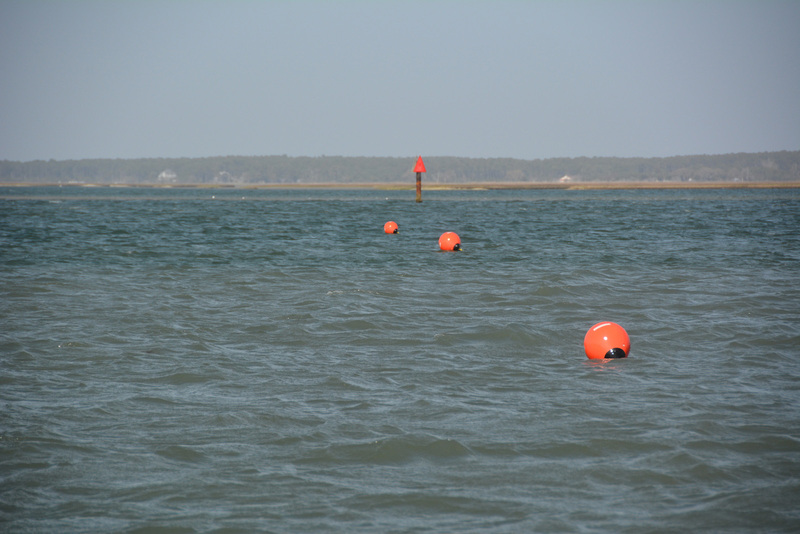 The Fort Macon Coast Guard Aids to Navigation Team has placed can markers at the newly dredged Taylors Creek East Channel! When heading east out of Taylors Creek, keep the 2 green cans to starboard and the 1 red can to port. The new 750′ long channel ends at the deep water North River Channel. So, if heading out to Shackleford, turn hard right at the last green can and keep the green North River channel marker (NR1) to your starboard. On the way back, it’s red right return! “New” East Channel is Marked with Temporary Markers!